Swirling wine without sloshing it out the lip of the glass and down the sides is an acquired skill, but its effects are worth the learning curve. I might be dating myself with an I Dream of Jeannie reference (although I watched them in rerun) but letting a wine breath is akin to my memories of Barbara Eden’s character—it gets stuffy cooped up in a bottle. She had to get out, stretch her legs and open up. So it is with a young cabernet sauvignon. When a wine is poured into a glass, whether it’s a white or a red, the complexity of its contents may not be immediately evident or it could present some harsh scents. Swirling it in a circular motion allows the nose, or bouquet, of the wine to open up. Fruit aromas should be more distinct as the wine makes contact with the air, warming it slightly and better releasing that sensory profile. Manual aeration—which is essentially what swirling is—is one reason a wine glass should only be filled half way. A passive form of aeration is to simply leave a glass of wine on the counter for several minutes. This will allow it to slowly warm up to room temperature, enhancing its characteristics. Keep in mind the type of wine being drank when leaving a glass to ‘breathe.’ Most whites won’t be as enjoyable left out past 10-15 minutes and more than an hour, even for many red, could cause its flavor profile to begin to diminish. You’re looking for aeration not oxidation. Fancy aerators decrease aerating time but work along the same principle as swirling an individual glass or decanting a bottle in a large surface area such as an actual decanter, glass pitcher or bowl so it’s really a matter of preference or presentation. 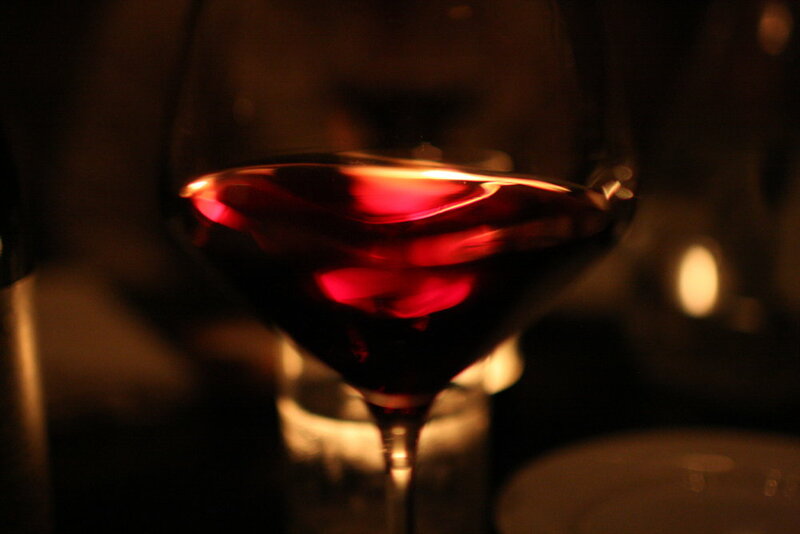 Another form of aeration is to pour the wine from 6-10 inches above the glass. Once mastered, this technique is impressive at parties. As the wine flows from the bottle to the glass, it comes in contact with a lot of air and even the splashing into the glass serves to further aerate it. An older wine (generally defined as being over eight years) mellows with age and the tannins which present so boldly in younger wines become soft and refined so the older a wine is, the less aerating is needed and, in fact, could take away from the delicate nuances of the vintage beyond simply swirling a glass to release its bouquet. All this talk of tannins might make one think whites don’t benefit from decanting but, in fact, chardonnay and gewürztraminer are two that can be improved upon due to their richness and high aromatics, respectively. So swirl away with all manner of red and white wines and experiment with some decanting for younger heavy reds but leave those sparklings and Champagne undisturbed. The movement breaks down the bubbles that basically carry all the fun aromas up the flute to tickle your nose.